Do not go to this guy unless you have few extra bucks to waste. Like for starters the very first thing is he will tell you the low price first(before fixing your car) and while charging you he will increase his rate (after fixing the car)by saying it took me more time on this car while fixing !! And he screwed up my car . As he changed the part of my car he somehow messed up with the alarm system on the car and now while locking my car the car does not give the beep sound the lights on the door lock are not working and the anti - theft indicator stucks while blinking. And when i told him about all this he just simply said to me that there is something wrong with my key fob which I know was actually fine as I have 2 key fobs and after sometime he changed his statement by saying maybe there is something wrong with the programming of the car .And to fix all those stuff(which were not even faulty at all before changing the actual part for which i came he somehow screwed it all) he told me that he will charge another 100 bucks. To fix all that which was all his mistake .And he or his workers even cracked my cars logo and when I told him about that he started laughing by saying that i did not hit your car anywhere. So guyz i don"t recommend this guy to anyone especially if you are there to replace new parts. Rather than that its better to go to the actual showroom and get your car fix there as they will charge you more but they are not going to mess up any other stuff of your car. Now to fix this all i have to spend near about equivalent dollars for how much I could have get my car fixed in the showroom with one shot. Really Disappointed !! I am the owner of this shop and "Ritvik yaduvanshi" the one who wrote the comment of me screwing up brought his own cheap part from the internet that could not replace the $400 part that is bought from the dealership. You cannot expect to fix a volkswagon which requires expensive parts to be fixed with a $50 part from the internet ! And I didnt even open the hood for the logo to be cracked, he was standing and watching. Top notch, they are pretty busy but still they were very flexible, I had a situation where I needed my car fixed asap and they were able to acomodate me. When the tow truck came I did not have cash to pay him, Balbir agreed to pay the tow truck driver and said we could just settle later. Very impressed! Not to mention they were an astounding $1500 less than the dealer quote! Highly professional approach has made this auto repair center different from the rest. From minor to major repair work, they do every task with sheer perfection without keeping you in queue. Last week I visited them for brake repair. They duly inspected the problem and fix them in no time. I would recommend them to all my friends and relatives. These guys simply rock! I would say that this is one of the most excellent auto repair shop in Surrey. It was last week that I took my sedan for wheel alignment and brake repair. They did a stupendous job. I am really satisfied with the work they did for my vehicle. Truly professional approach and matchless prices… they are the best as per me. I was worried about my sedan because it was making certain weird sounds while pressing the brakes. I came to this Vehicle Inspection Surrey and they repaired it within 1 hour. I am very happy and would recommend them to anybody looking for auto repair service in Surrey. If you are looking for a car repairing center for a complete auto repair service, then trust these guys. For me, they did a brilliant work and today I feel really happy with my car’s performance. I call them up even for minor auto repair work in Surrey. 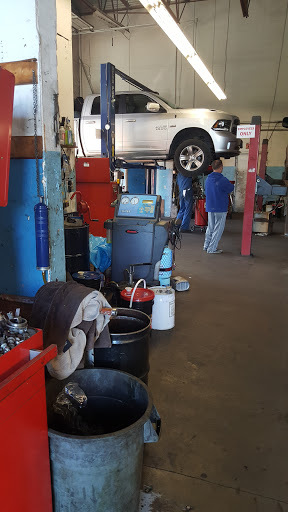 Best Automotive repair service in Surrey - These Guys are very professional, I have been doing business with Balbir Auto Repairs for last 3 years and every time they provide Excellent service. Great place , I had a coolant leak ans Balbir knew right away what was causing it and repaired it the day I showed up without a appointment . Thanks again ! The service was friendly and fast. Very reliable and not expensive. I recommend this shop to get your car fixed. Customer service is not very good. Only owner do most of the repair and always shortage of workers. Always fast and reliable. Fixes all my problems every time.